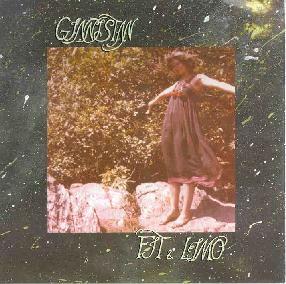 Fit & Limo - "Ginnistan"
Fit & Limo are listed as an “acid folk” duo. I have no idea what that means, but their music fits in well with my love of the Ozrics and bands of that ilk. Please understand, that F&L do not even remotely sound anything like the Ozrics. What they do have, is that energy. A kind of cosmic, tribal thing. Fit & Limo is a male/female duo based in Bavaria, Germany. Fit plays primarily keys and Limo plays primarily guitar. That is actually an oversimplification, because between the two of them, they also play sitar, bells, hand drums, and a variety of traditional and folk instruments. They both sing. On ‘Ginnistan’ they are joined by friends on cello, trumpet, and additional vocals. ‘Ginnistan’ appears to be a concept album of sorts, with lyrics in both English and German. I think ‘Ginnistan’ is actually supposed to be a place; a land. The music is kind of folky, with traditional passages sprinkled throughout. At times it almost sounds like singer/songwriter stuff, just with added bits. There are other times when it all just seems to come together. There is just this spacey, psychedelic quality to it all. Couple that with the haunting female vocals and dual harmonies and it’s pretty cool. For the most part, the songs are all about 2-3 minutes long. There are four songs in the 5-7 minute range and the cd closes with an all-out freeform jam that’s about 21 minutes long. ‘Ginnistan’ bore up well to repeated listenings and seemed to age well; new stuff kept popping out. For more information you can visit the September Gurls Records web site at: http://www.septembergurlsrecords.com. Contact via snail mail c/o September Gurls Records; Sigmundstr. 92; 90131 Nürnberg; Germany.